Are you ready to discover the most dominant striking martial arts in the world while also getting in the best shape of your life? Then join us at Straight Blast Buford today for our cutting-edge Muay Thai classes. To see the dominance of Muay Thai, all you have to do is watch any mixed martial arts organization in the world. Just about all of the top fighters are well versed in Muay Thai. On top of that, Muay Thai practitioners tend to look phenomenal with their lean muscle and low body fat percentage. Not to mention, it’s WAY more fun that treadmills and ellipticals! Everyone can enjoy the benefits of training in Muay Thai! You don’t need to be in shape or athletic to learn this dynamic martial art! 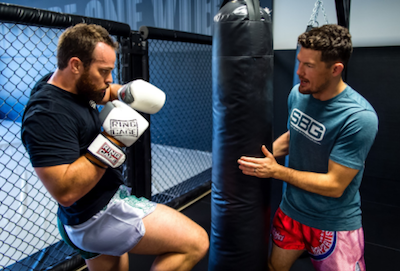 At Straight Blast Gym Buford, we have classes specifically designed for beginners who are new to Muay Thai to learn everything you need in order to get in great shape and learn the skill to move on to more advanced classes. No matter what level you start at, you will improve dramatically and see results even faster than you thought possible! What Can You Expect From Our Muay Thai Training? For starters, we’re here to help you stay motivated to get in shape. No more boring gym workout routines. 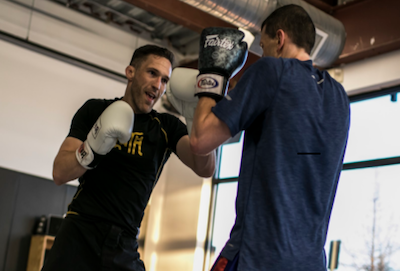 The problem for people looking to find good Muay Thai instruction is finding a gym that offers authentic, high-level instruction, for coaches with real experience and credentials. As the 2015 and 2016 Best of Gwinnett’s Health and Fitness Club of the Year, we are known for setting the standard. Our staff is full of professionally trained coaches who undergo the most thorough instructor training program and apprenticeship in the industry. Don’t miss out. Take The First Step Today Or Learn More About The Best Muay Thai Classes In Buford! We’re excited to show you what above and beyond really means. Get more from every workout and walk away with incredible confidence in no time with the help of our Muay Thai Classes in Buford.